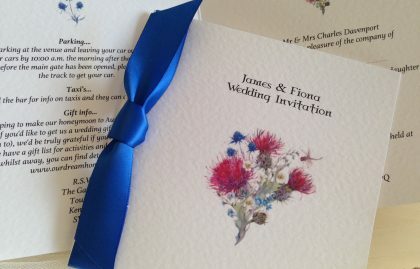 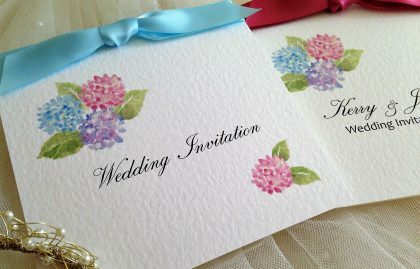 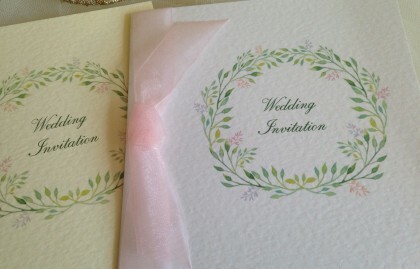 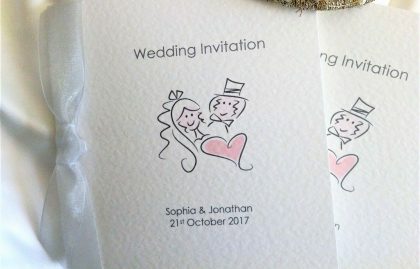 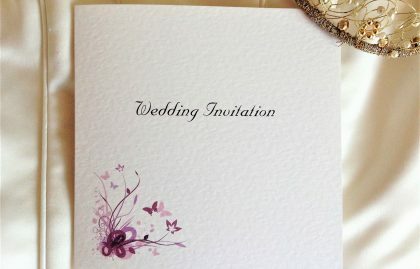 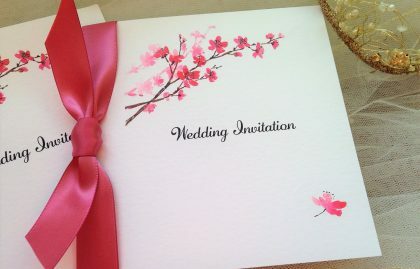 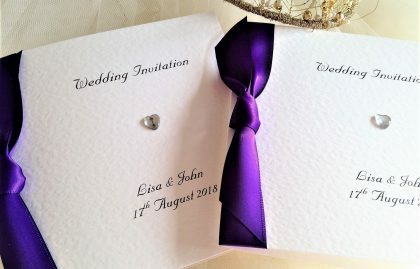 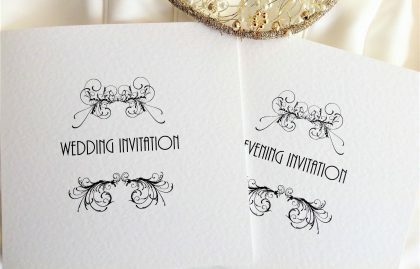 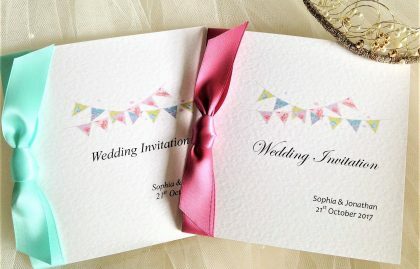 Square Centre Fold Wedding Invitations are an attractive large size square opening invitation card. 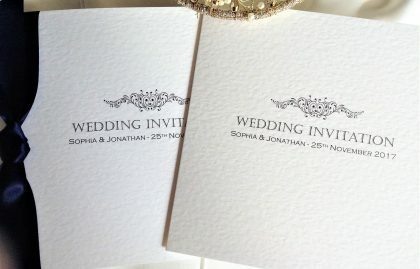 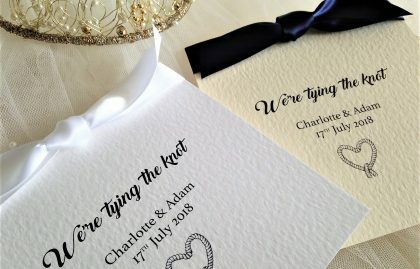 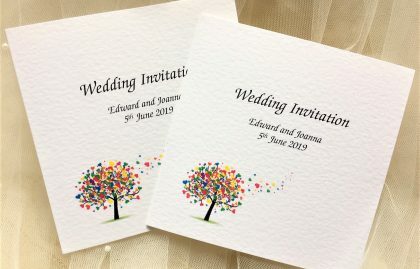 Produced using a top quality hammered textured card (270gsm) and are available in white or ivory. 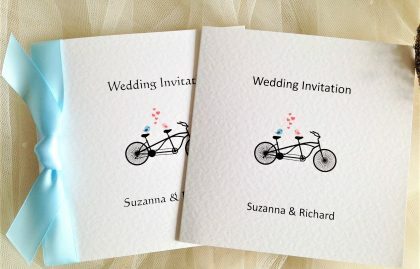 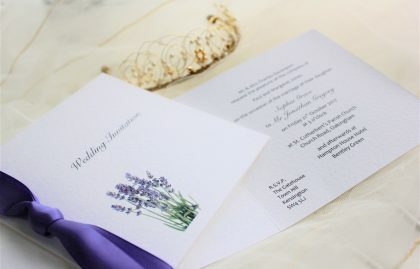 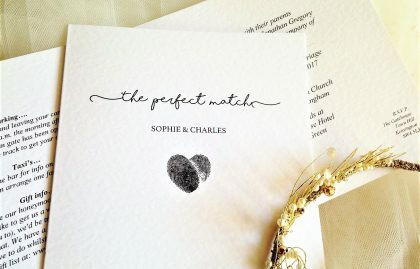 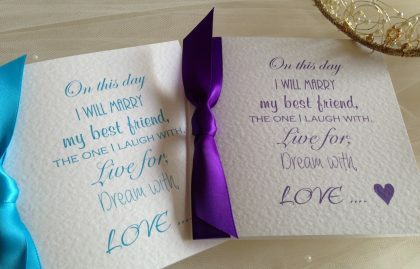 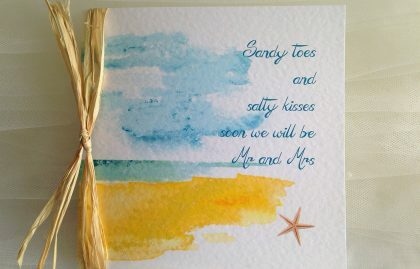 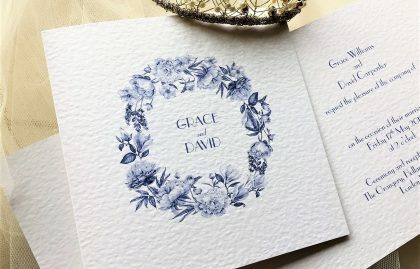 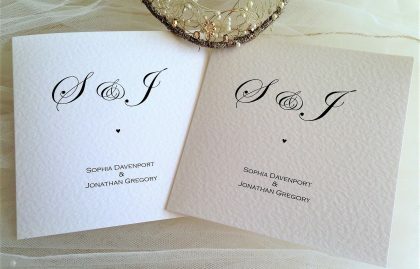 They are supplied with free matching hammered textured envelopes.